Castle Group Ltd of Scarborough has been re-inventing its service and calibration package by expanding the range of options and the breadth of equipment covered. From Anemometers to Accelerometers and Sound Meters to Samplers, Castle now offers calibration on most Safety, Health and Environmental equipment and even more. 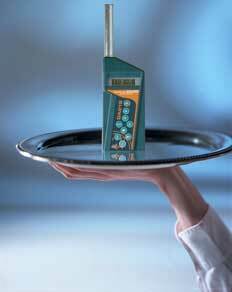 With a core competence in the calibration of sound and vibration meters for over 35 years, Castle has been able to apply its ethos of clear, menu pricing, fast turnaround times and ordering simplicity to an ever expanding list of equipment it can tackle. Service Manager, Michael Mann stated, we felt is certainly a recurring theme that customers want a fast turn round time and they want to be kept up to speed with any progress. We’ve found that addressing these two points has been key to a successful service, happy customers and even to a quieter life! For companies with multiple pieces of equipment, there is also Castle’s “Contract Calibrations”; an annual scheme to take the hassle out of maintaining equipment certification. Castle will issue calibration reminders, collect your equipment and return it calibrated as soon as possible. This scheme also affords a saving of up to 20% on annual calibration charges. All calibrations come with a traceable certificate wherever possible and for certain types of instrumentation there is a choice of the calibration level, up to a UKAS accredited certificate (United Kingdom Accreditation Service).